You must be a member of the Warsaw Explorers Group to attend this activity. Would you like to join this group? 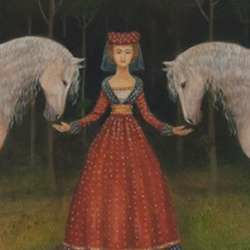 Let us discover the magic of medieval miniatures and legends of princesses and castles which are recalled in Malvina de Brades artworks. After the exhibition we will eat something togehter in one of the restaurant located in the neighbourhood.